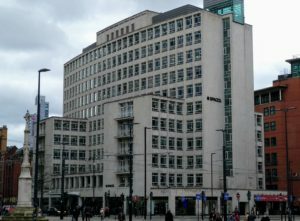 **This practice will be moving to a new office on Oxford Street, on the corner of St. Peters Square in Manchester City Centre from 1 May 2019. Feel free to use the contact form on the right to send a quick message. If you call and I am working with a client, or it is late in the evening or at the weekend, you may be directed to leave an answer phone message. Please leave your name, number, a brief reason for calling and a suitable time to call you back. I aim to respond to calls and email messages within 48 hours. If your enquiry is urgent see the emergency section below. Where possible I prefer that people make their own enquiries, and book their own treatment as this shows that you are committed to and interested in therapy. Please do not book appointments or make enquiries on behalf of someone else unless you are their legal guardian, or you have discussed it with them first and you have their express consent to do so. As a psychotherapist in private practice, I do not have the resources to offer 24/7 emergency psychological services or telephone support and advice. If your life is in immediate danger: call 999 for an ambulance or go straight to A&E. Or ask someone to help you. If you feel very low, desperate or you want to die: contact a relevant helpline for support or talk to someone you trust (Click here for a list of helplines and NHS suicide advice). You can also call your GP (or 111 for out of hours support). They will help you find the support you need.